Quiet Cross Cut Auto feeder Shredder - automatic sheet feed for up to 100 sheets of A4 (80g / m²): load stack, shredder destroys the paper gradually. 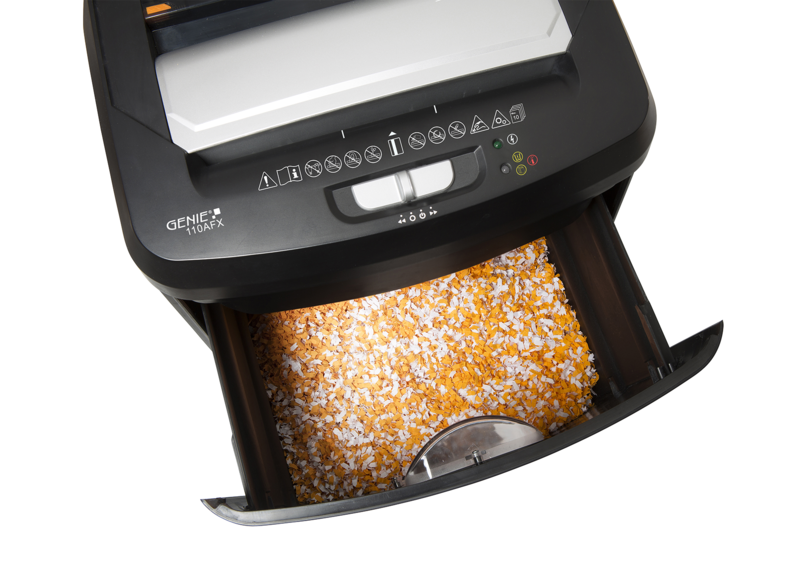 In manual mode, the shredder will destroy up to 10 sheets in one operation. Including large pull out paper basket (approx. 23 litres) with integrated viewing window to see the level, with overheat protection and function LEDs for power, bin full and overheating, as well as 4 wheels. Main switch with automatic, off, forward and reverse.